If you want to start your own business online, you need to choose a domain name best suits to your niche. A domain name is a name which always a company or business is known at online and offline. So, think about it seriously before purchasing from any popular online domain provider. Domain name is one thing which you can take for a long time while running your business. You got many ideas in mind while purchasing a domain but what are the main rules you should follow before you want to register a domain name. If you have an existing brand and want to start a new brand, you can find the name matching similar to existing one to keep it with your brand name. Depend upon the type of your business to choose a domain name suits best to your niche and business type. 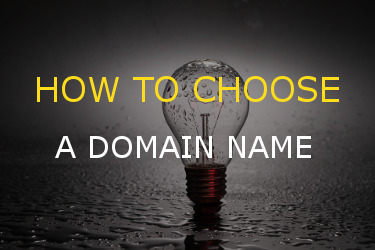 Follow the below rules to choose a domain name. Why should you use the .com extensions for your domain name? Because .com is the most recognized and standard extension one can use to choose the domain name. If you want to do well with your domain name and the extension, you should choose the .com for your online branding. 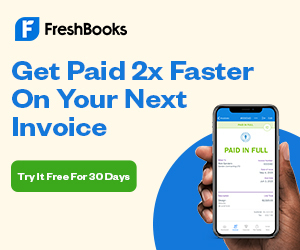 Brands like facebook, twitter and other any types of websites using the Com extension to become a brand and start a long run business. E-commerce websites also using the dot-com extension to start branding in their brand stream. Other domain name using the .net, .click are not the more trustworthy domain name, people will not find those domain name. Your domain name should be easy to pronounce. If you cannot easily say your domain name to any person, your domain name may be not useful for you in future. Use a domain name which you can spell easily to any people. If you cannot easily spell the domain, it’s not easy for you to share it socially and you may be lost many audiences online and offline. If you use efngikbjvnefkhbd.com as your domain name, you cannot speak easily with other people’s. While talking to people, it’s not easy to pronounce this type of domain name. You may be feeling hard to talk with many people using this type of domain name. Choose a domain name which looks more brandable. Use a unique domain name not matching with the other branded domain name. If you are going to choose a domain name which uses the trademark of another domain name, it comes under the copyright act. Suppose you are going to choose a domain name using the word Shopify. There is already a domain name shopify.com present, which may charge you using his/her copyright domain name. So, avoid using copyright domain names while choosing a domain name. Do not use hyphens and number of your domain name. Hyphens and numbers look ugly to use. You cannot easily pronounce with the people while talking about your website. It’s really very difficult to survive as a brand name if you create a domain name and using the hyphens and number inside it. It gives the wrong impression to the peoples and you may need to take another domain name immediately. So, don’t make this mistake while planning to buy a domain name. Keyword plays an important role to get higher ranking in Google Search. Use your niche related keyword while purchasing a domain name. Include your niche related target keyword you want to rank higher. Niche related keywords help you increase your search ranking and useful in conversion sales. If you want to target bloggers online using your website, you can use the blogging keyword in your domain name. It may be possible that the keyword related domain name already purchased by someone else. However, you can include some more keywords and include some variation to find your ideal domain name. It’s hard to remember a long domain name. Think about other brand names like facebook, twitter etc. They all are short and easy to remember. Include your keywords in the domain name but do not make it longer. Your audience may feel hardest to type your domain name and may leave your website. You don’t want to make this happen with your domain name. Your domain name is your online business. If you want to start a successful business online and offline, make your domain name and brand name short and easy to remember. No one wants to like a longer domain name to type in the Google search input box. So, it’s a good idea to keep it short and useful. There are many domain name providers online today. You need to carefully select the best place which can help you to buy a domain name and easy to transfer your domain name later on. Some of the companies offering a domain name for free. If you want to start WordPress blog and decided which domain name you want to buy. You can use below WordPress hosting companies to get a web hosting and free domain name. These companies offering domain name for free and a hosting to our users with discounted price. Bluehost: Bluehost is the oldest and most used domain provider. WordPress official website also recommended Bluehost as the best WordPress hosting for every WordPress website. SiteGround: SiteGorund is the most popular and with highest ratings hosting provider. Official website of the WordPress recommended SiteGround as best web hosting for WordPress. Both Bluehost and SiteGround are the best hosting for WordPress. You can go for any of them. Ipage: Ipage is the cheapest hosting provider and with a cheap web hosting, you can also get a free domain name with the hosting. All these domains and hosting providers offering domain name for free for 1 year only. After 1 year, you need to pay $14 to renew your domain name. Hosting excluded from $14. After one year you can transfer your domain name to the cheapest domain name providers which can renew your domain name at the cheapest price. Below are the cheapest domain name providers to which you can transfer your domain name after 1 year. Godaddy: Godaddy is the most popular and largest domain name provider in the world. They have 17 million customers worldwide uses it to buy and renew their domain name. Namecheap: Namecheap also offering the cheapest domain name, domain transfers and cheapest domain name renewals to their customers. If you have any questions regarding how to buy a domain name and hosting? Leave a comment below.